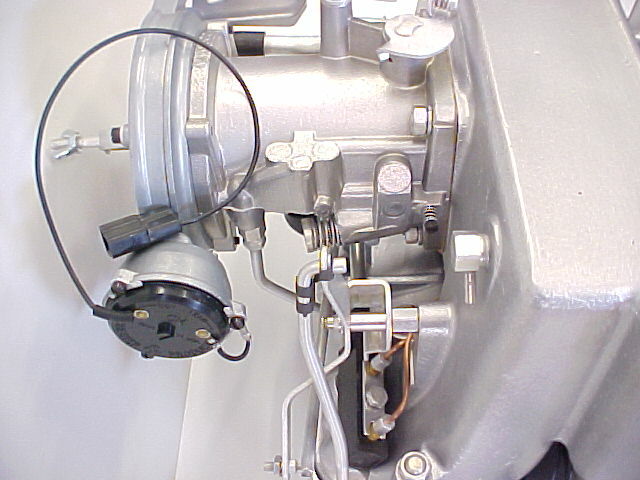 This fully restored example is a 1957 7014520 "finned top" fuel injection. 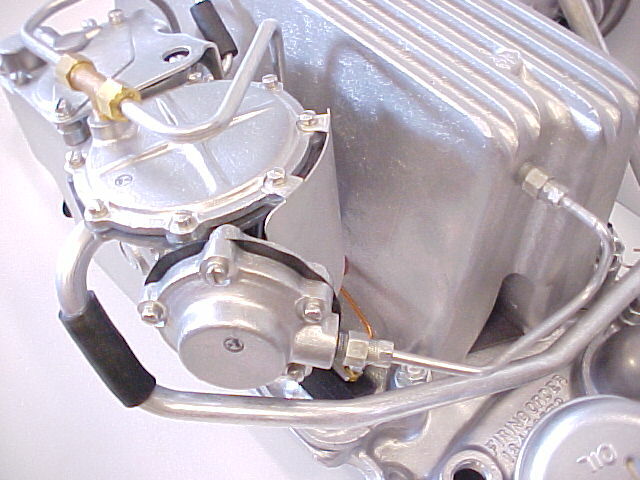 This particular unit is serial #1299. 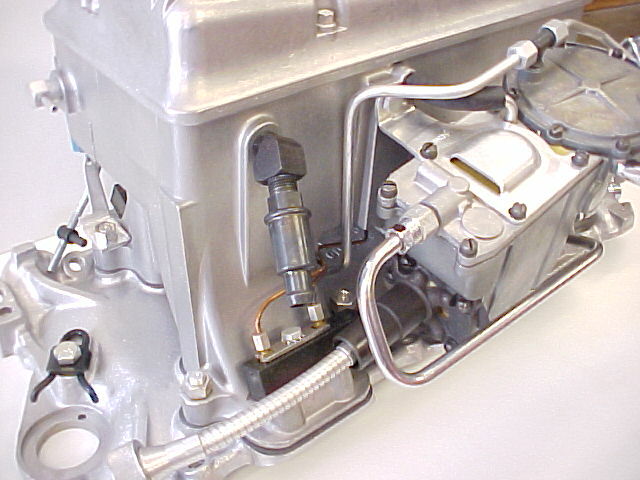 Notice the original bronze color of the gear pump housing and the hammertone silver paint on the oil fill tube. 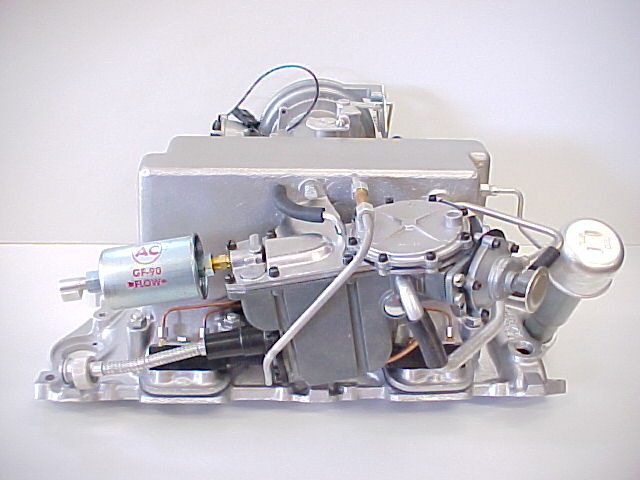 Click to enlarge the images. 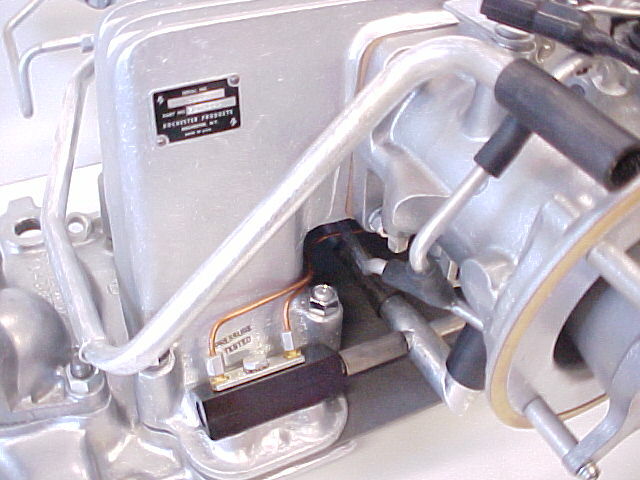 Then use your browser's "back" button to return to this page. 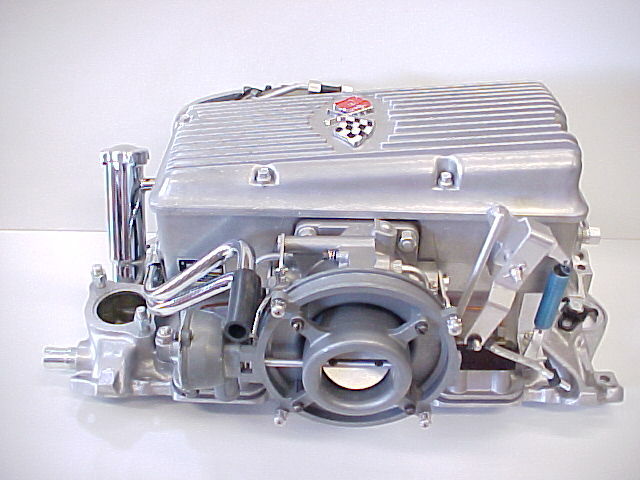 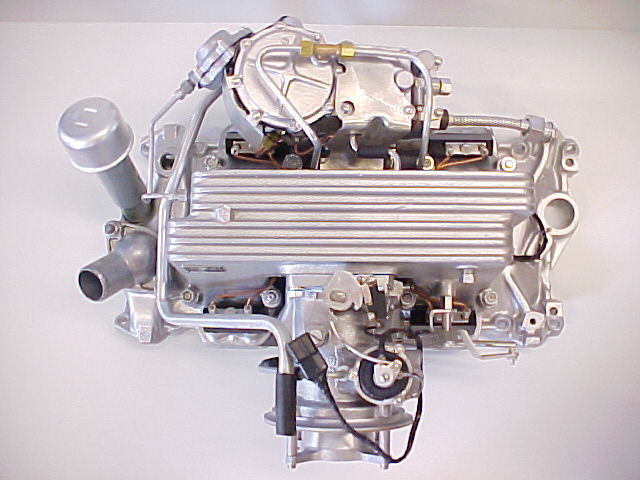 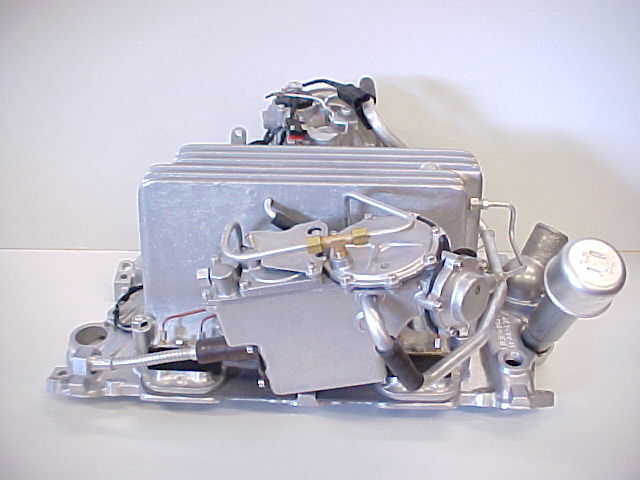 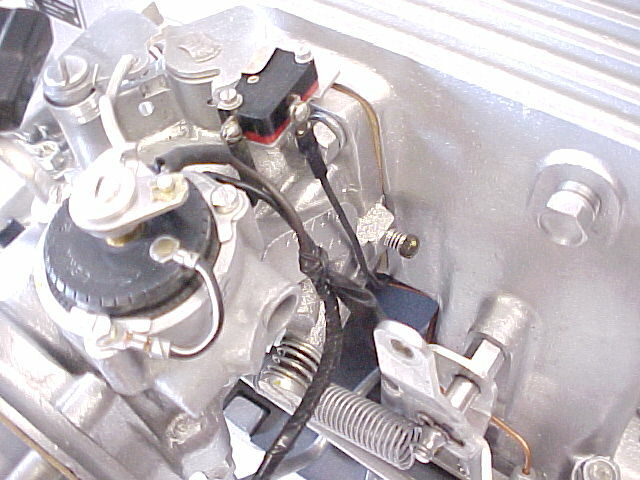 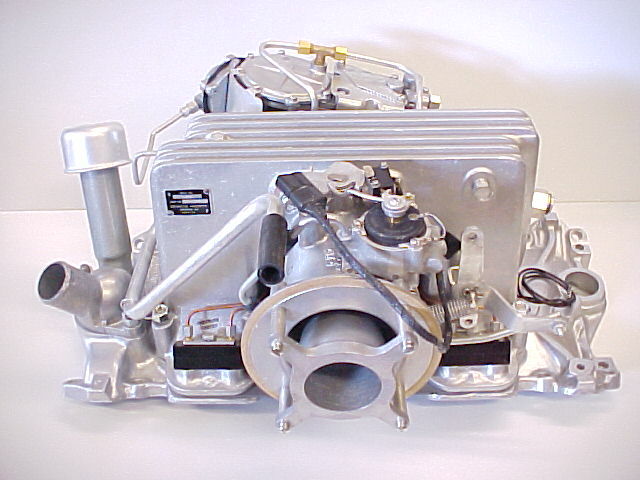 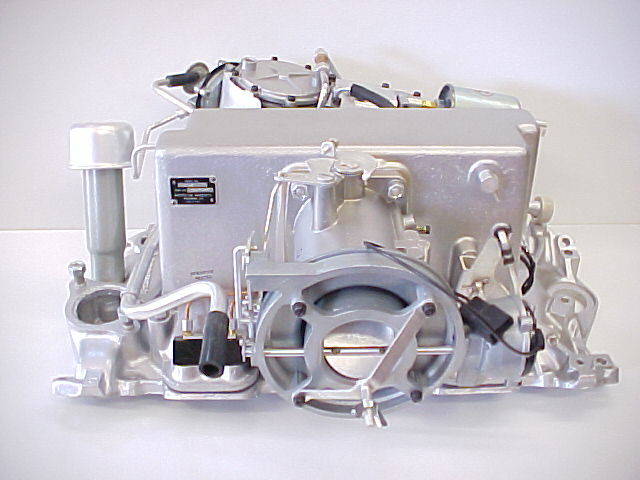 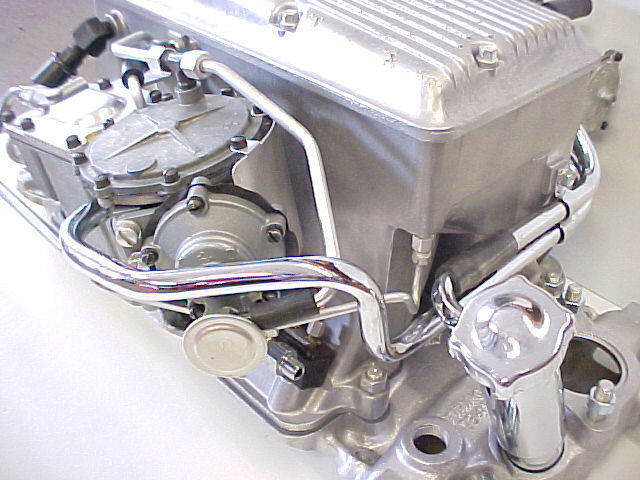 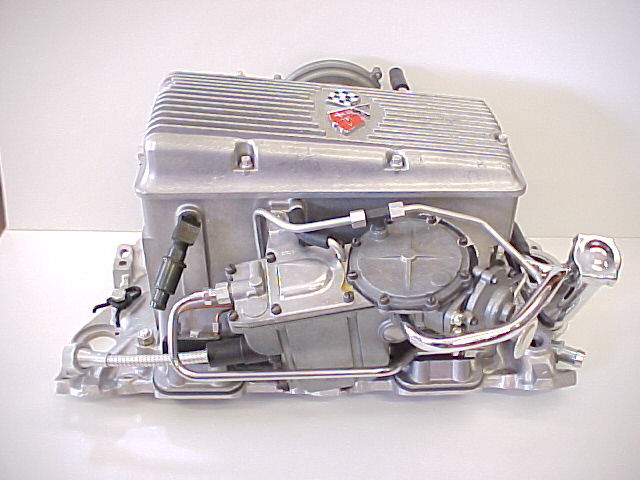 This example is a 1962 7017360 "flat top" fuel injection unit. 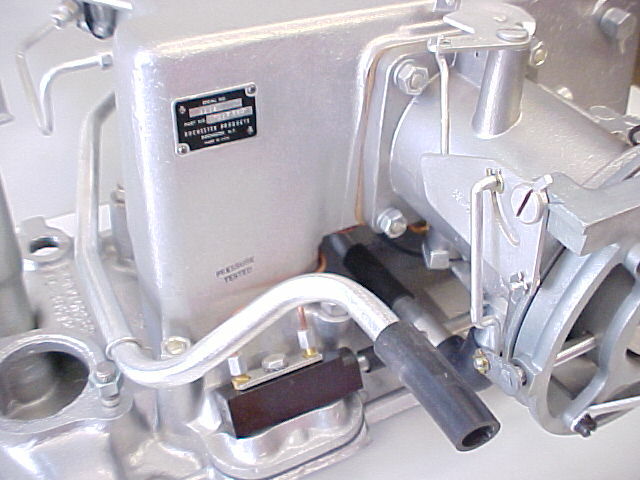 The unit serial number is 2116. 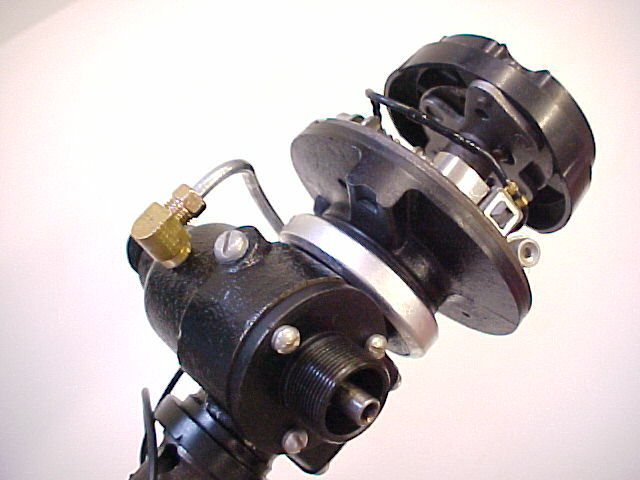 This restoration displays replicas of the ink stampings originally made by Rochester inspectors. 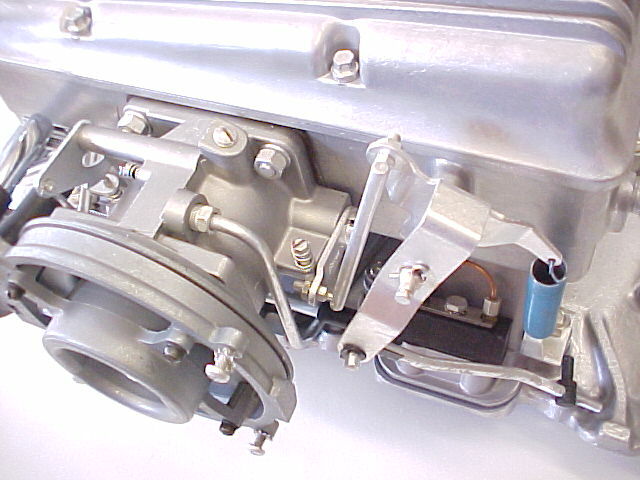 You can also see the aftermarket anti-siphon solenoid I installed beneath the plenum. 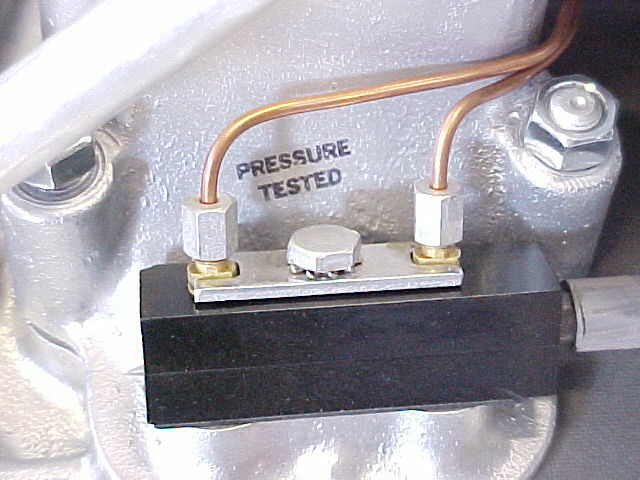 I strongly recommend that this safety device be added to all '57 through '62 units. 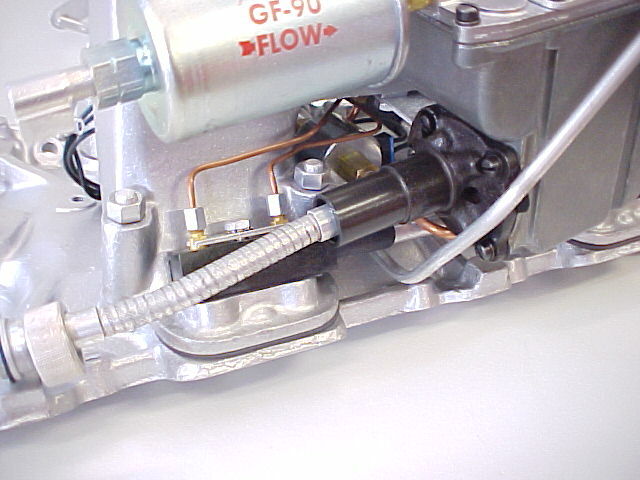 Such a solenoid will prevent hydraulic lock caused by gasoline siphoning into a cylinder when the engine is off. 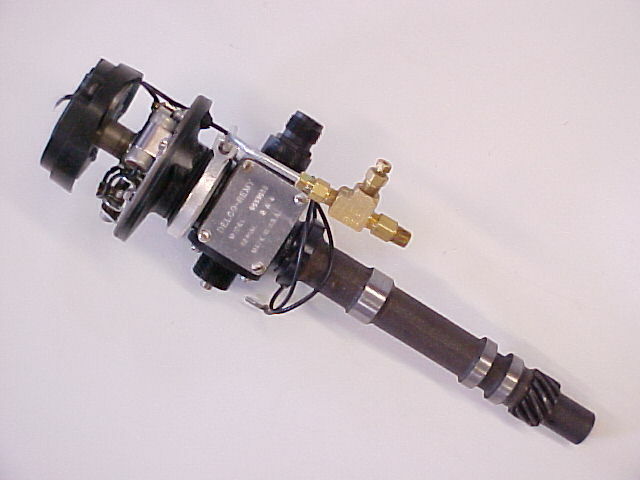 The distributor is part number 1111011, and it's dated 2 A 4. 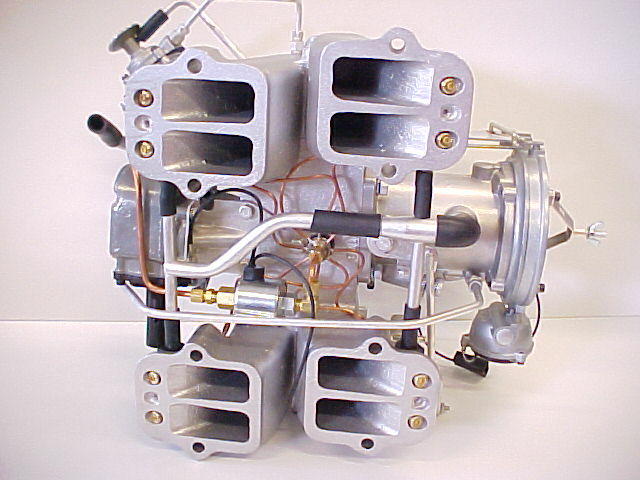 This restored '63 - '65 example is a 7017375R fuel injection unit, serial #3527. 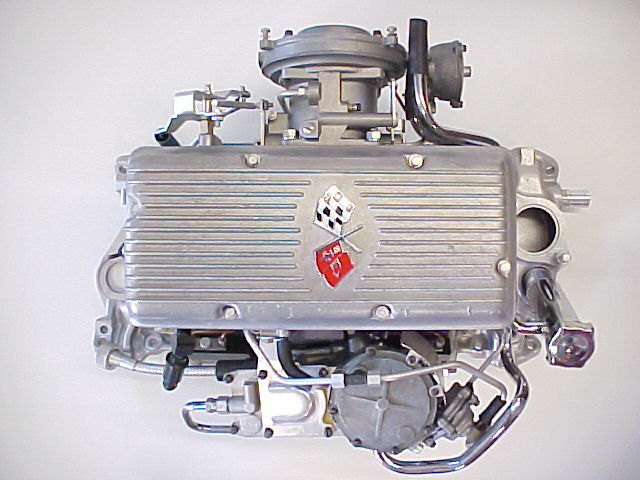 About 200 "7375R" model injections were made by Rochester for early production 1964 Corvettes. 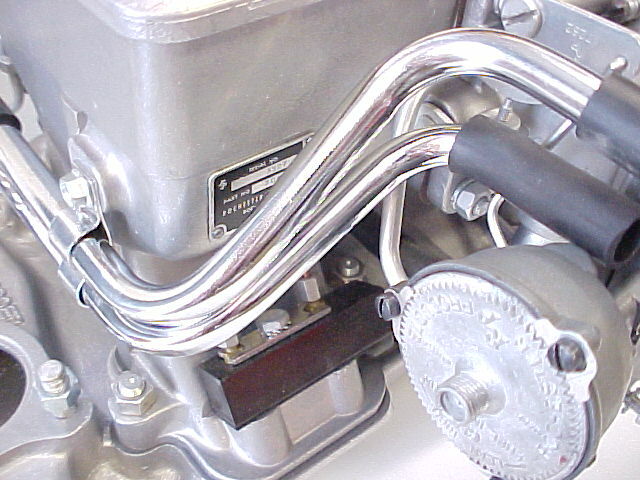 These "R" units were continuations of the 1963 "7375" series that had been recalibrated to work properly with the '64 375 hp camshaft. 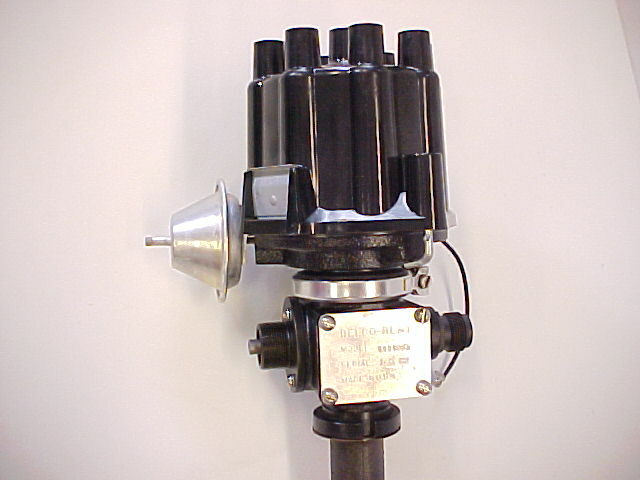 The distributor design was also changed to a 1111063 model with a low-vacuum #236 canister. 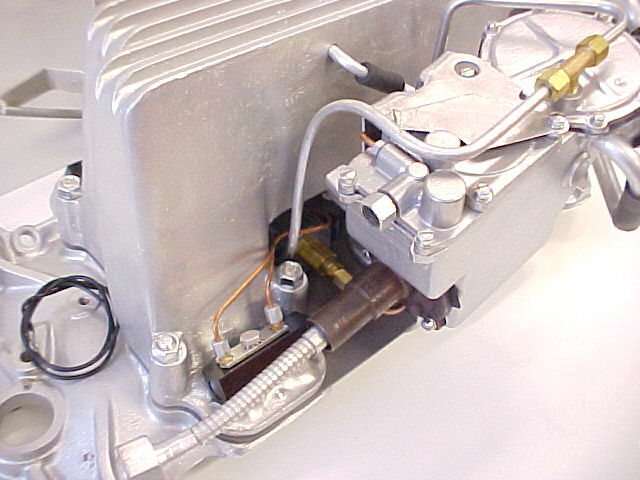 This particular distributor is dated 3 K 22.